These 2 twin-models are enriched with technical solutions that are becoming the reference for the category. Care of details such as lateral step with courtesy light, and top dynamic behaviour thanks to optomized weight distributed on and a keel with highly variable angle. True best-sellers which now reached the second generation. 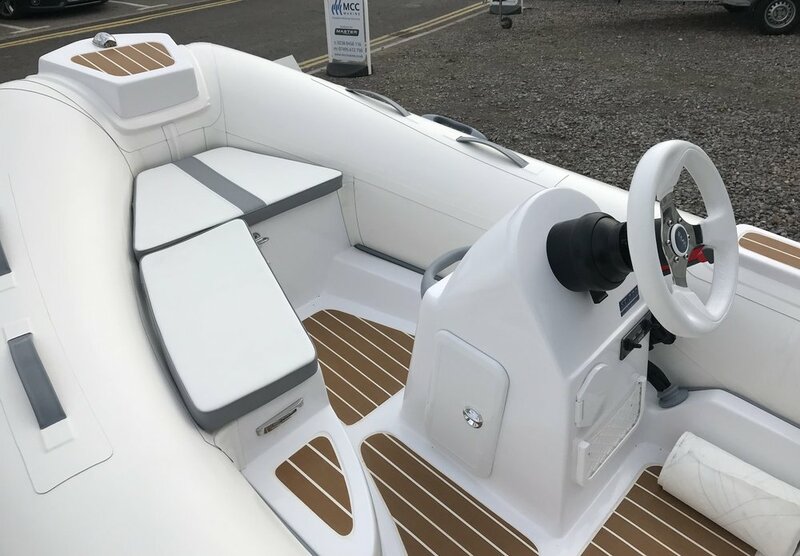 Thanks to our double-shell technology which means 2 fiberglass body and no other parts assembled, with this ultra-light tender you will fly on the water with only 20 hp and the support of new Surmarine “autotrim” flaps. These are the models that first made our brand well-known in the world. Thanks to an incredible lightness and extraordinary hulls equipped with integrated flaps, our customers know that they can ski with only 15 hp of power and run for dozen of miles in total safety, reassured by our double-shell technology (two fiberglass body joined and no other parts assembled) and Surmarine unmatched reliability. 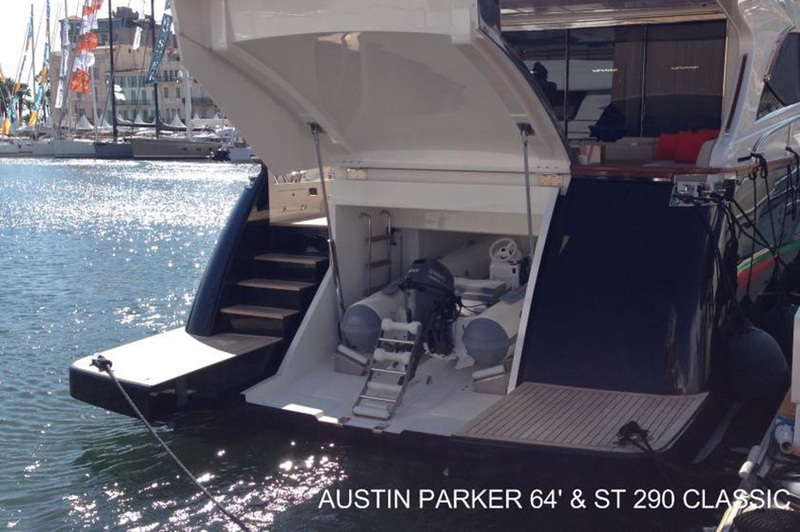 This family of tenders solves many of the problems of placing on yachts. Thanks to minimal weights and low profile of console, they can fit even the smaller garages. Sur Marine model ST 280 and ST 260 can stay on platforms without supports, laying on inner profile of integrated flaps.